There are many ways to utilize your space, whether you’re at a large event or you’re setting up a showroom. It’s important to use the space you have available, and using table throws is one great way to do that. 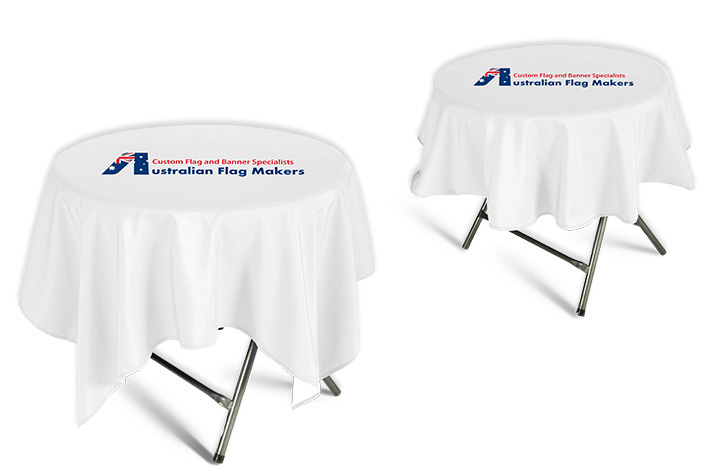 If your tables are more square and round rather than long and rectangular, consider ordering a few square and round table covers from Australian Flag Makers. It’s not always a good idea to purchase a fitted table cover, especially if you’re on a budget. It’s a much better idea to choose a table cover that is able to fit many different tables. 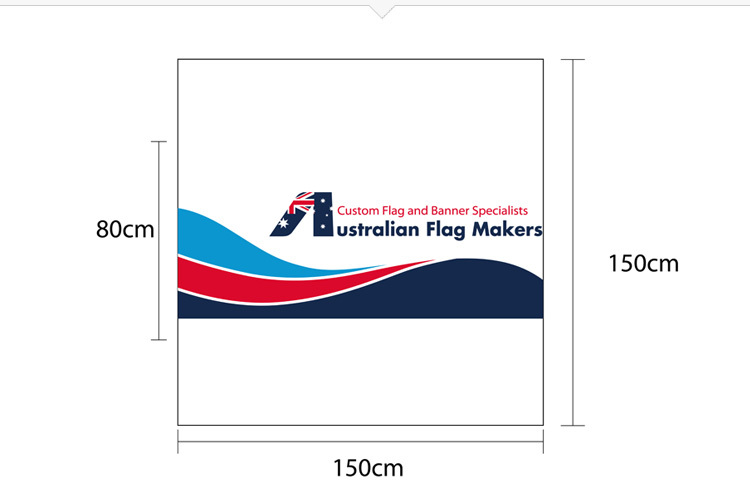 Our table covers can be ordered in round and square sizes, depending on the shape of the table that you’re going to use. The best part is, each square and round table cover is able to accommodate either a round or square table of many different sizes. 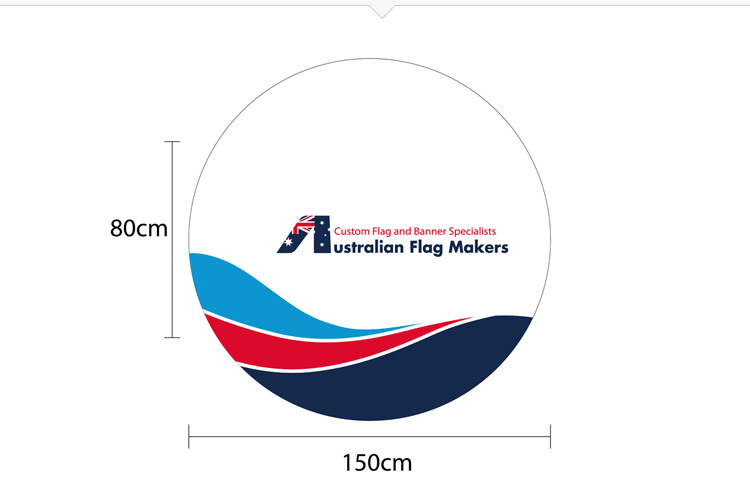 Our amazing versatile covers can fit tables between 74 and 110 centimeters in diameter without compromising the image or slogan that is displayed on the top of the table. Don’t want to have to worry about ironing your square and round table covers after they have been pulled out of the box? Looking to save a little money on the printing process? No matter how you customize your square and round table covers, you can rest assured that they are of the highest quality. They all provide a professional finish that will enhance nearly any space. Need a little help customizing the perfect square or round table cover? We’re here to help! Just drop us a line and tell us a little bit more about your project.